Home Workplace Safety Mass Shootings versus Active Shooters: Is There a Difference? 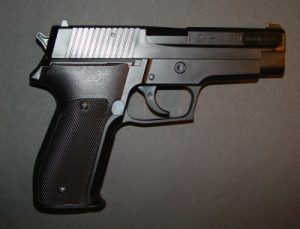 The FBI defines an active shooter as “an individual actively engaged in killing or intending to kill people in a confined space or other populated area.” A mass shooting is usually described as “an incident in which 4 or more people, including the perpetrator, are injured by gunfire.” The definitions do differ and, as a result, can affect reporting and statistics, depending on the source. But all statistics and reporting agencies are in agreement: active shooter and mass shooting incidents are on the rise in the United States. The FBI also looked at active shooter incidents comparing two seven-year periods, from 2000 to 2013. This review found that between 2000 and 2006, an average of 6.4 incidents occurred annually, but between 2007 and 2013, that average increased to 16.4 incidents. From 2000 to 2013, the FBI reported 160 active shooter incidents with 486 individuals killed and 557 people wounded. Through June 24 of this year, the Gun Violence Archive reports 143 mass shootings leaving 198 people dead and 630 wounded. Epidemic? Maybe, maybe not. But there is no doubt that active shooter and mass shooter incidents are on the rise in the United States. Contrary to popular belief, most incidents are not classified as terrorism. What can you do? Obviously, no single individual can prevent gun violence by themselves. But it behooves all loss prevention professionals to know how to react and how to guide others in case of an actual event. Countless books and articles have been written about active shooter and mass shooting reaction best practices, many of which are available on LPM’s site. Take the time to get better educated now.